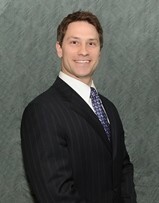 Brian Gorman is a financial advisor and owner of Gorman Financial Management, LLC. He has worked in the financial services industry since 2001. Brian’s objective is to address his client's financial challenges such as investment management, college savings, investment planning for retirement and income planning during retirement. He values building long lasting relationships with families and businesses and he is dedicated to implementing simple, transparent solutions to help them meet their goals. Brian is a BBA graduate in Finance and Commercial Law from Western Michigan University. He lives in Plymouth with his wife Meghan and their son Luke. They enjoy staying active within their community and living an active lifestyle.